Australian distillery Underground Spirits has given its gin and vodka portfolio a design overhaul to emphasise the brand’s Canberra roots and the science behind the liquid. Founded by Dr Toby Angstmann, the spirits are filtered at sub-zero temperatures to deliver a “smooth, pure finish”. 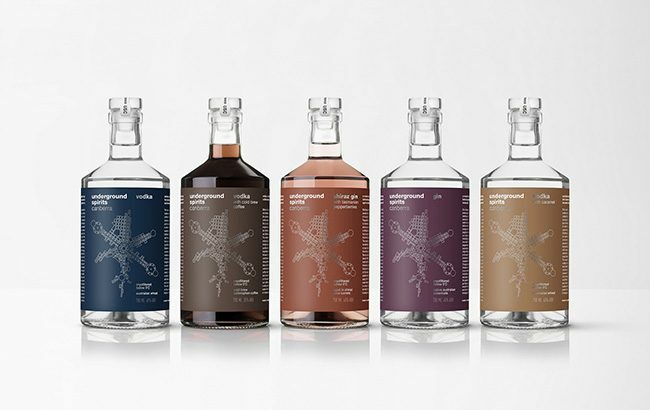 Underground Spirits partnered with drinks design agency Denomination to develop the new branding, which uses a stylised map of Canberra and a snowflake shape on the label as direct references to the provenance of the brand and its patented “ultra-cold purifying ‘cryofiltering’ process”. The new design also features a more “muted” colour palette, inspired by the Australian landscape. Dr Angstmann, founder and master distiller, said: “Underground is about invention, family, friends and unwavering passion.